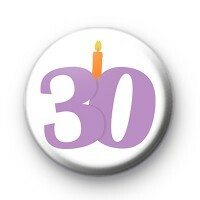 Celebrate your big 30th birthday by wearing one of our handmade birthday badges. Turning 30 is a milestone and one that needs to be celebrated. Our birthday badge look cute on handmade cards, if you're crafty.